Arctic Cat wildcat 1000. This v-twin motor paired with MBRP’s PowerTech4 system delivers a rich and aggressive sound. 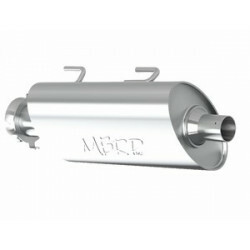 Using the stock head-pipe into to mufflers gives a strong performance feel, sleek design underneath the rear fascia and very easy to install.